If you love to travel and yet struggle with Pre Travel Anxiety Symptoms or anxiety in general, I totally understand. I have once been there too. I have been active in the Travel industry for over 20 years, precisely 24 as I am writing this. I have traveled around the globe visiting over 20 countries, stayed in hundreds of hotels, and been on thousands of flights. Oh, I should mention that most of those flights were piloted by me! Well, a co-pilot was there too! I am now a retired airline pilot who had to quit at a young age due to travel anxiety associated health issue which stems from anxiety in general. This is not just an issue but a serious condition that a lot of people suffer from. I defiantly suffer from Pre Travel Anxiety. Pre Travel anxiety is actually a very serious condition for many people, and the panic attacks that come with it are no joke. My anxiety condition was unexpected and a major concern when you are flying a large aircraft. I was diagnosed with Anxiety at the age of 40 which ended my career. Although, situations and circumstances differ for people who suffer a different degree of travel anxiety, about 15% of people in our world deal with travel anxiety. This can bring about life changes in split seconds and could turn the world upside down for the sufferer. So if you also suffer from this thing called travel anxiety, here is my story and how I dealt with it. I believe this will help you too and if you don’t even know what travel anxiety means, do read on, you might be surprised at what you would discover. To begin with, I started flying airplanes in 1993, which was shortly after high school with intentions of becoming a commercial airline pilot, ‘living the dream’ as all pilots would say. It is a great profession but not as glamorous as some people think. It takes a lot of hard work and training which there should be for a job with such huge responsibilities. 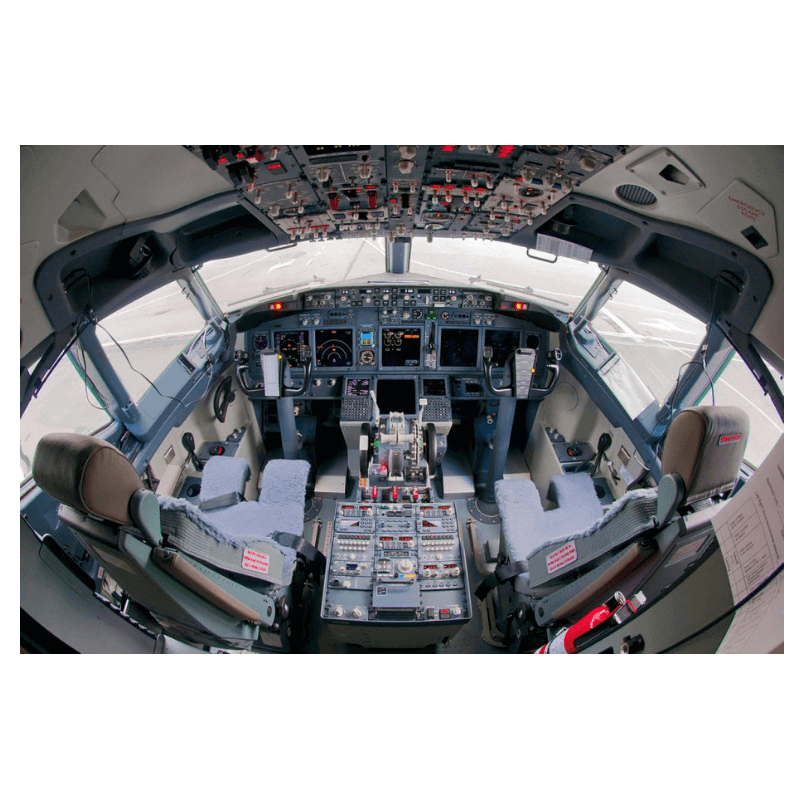 Boeing 737-800 Cockpit photo – Last aircraft I ever flew. It was a long road from that first training flight to becoming an airline pilot. It actually took me over 20 years of working overtime hours most weeks for many employers who have little respect for pilots. Not all employers in the aviation industry have this low esteem for trainee pilots but most will only offer work to those pilots willing to work for minimum pay and a tough schedule. Most upcoming professional pilots will continue to accept poor job offers and working conditions as they need the experience to move on to the next level. I also worked as a pilot flight instructor for 9 years, this job was stressful at times but compared to other flying jobs I found the most enjoyment in it. Mainly because teaching people to become pilots and watch them succeed was beyond amazing and fulfilling to me. Even though the pay cheques were horrible and brought about a lot of financial stress, it was still worth it. Because I didn’t realize at that time, how things that affected you in the past could develop into serious anxiety issues later in life, I didn’t realize how much those 20 years has really affected me but I do now!!!! Many people can have Pre Travel Anxiety their entire lives while others seem to develop the anxiety either because of some past or current experiences or from nothing at all. Pre Travel Anxiety is unlikely to have anyone specific cause as several things can lead up to it. Ok, back to the story. Here is how my travel anxiety started and how it affected me. I was always a big worrier. Is that even a word? Anyway, I worry about things all the time, you name it and I’ll worry about it. Living the life of a pilot meant I was always away from home, so I was constantly worried about my family. I wanted to be home in the event anything went wrong and I wasn’t there to help. Everyone would tell me, “stop worrying about things, there is nothing you can do to change what happens at home when you’re away”, “Everything will be fine.” Well, that was easier said than done for me because I would still worry and that was never going to change. As I gained more flying experience, I finally progressed to the point where I landed a really good airline job but little did I know that this would be the end of my flying career. After all the hard work and sacrifices, I was happy that I finally made it to the big dance but it all ended before it really began. When I was away from home, I started to notice physical things that were really bothering me. Things like constant sweating, shaking, dizziness etc were driving me crazy. I wasn’t sleeping much and this was causing me to really struggle throughout the day. No matter where I was, sleeping was always a huge problem for me. As time went on, I noticed that during training sessions, I would get unusually stressed and found it more difficult to concentrate on each and every session. When testing and evaluation days came, I found the stress to be just so much. I could feel my heart racing and it felt like it was going to pound out of my chest. I thought they were heart attacks but I always managed to calm down and go for a walk or something to help them go away. It got to a point where I was having anxiety just thinking about going to work. Pre Travel Anxiety was a huge factor. I started calling in sick to avoid going to work. After a while, I realized that I needed some help and went to my doctor. Long story short, after so many tests it was found out that I was dealing with severe anxiety the whole time. I am now on medication, been to therapy and officially retired at 40 because of it. So many people fear airplanes and flying. It is the number one concern leading up to Pre Travel Anxiety. Fear of flying is a very common phobia due to a broad range of factors like the lack of personal control of the machine, the changes in air pressure, the discomfort, and the turbulence. Since most travel involves flight, it’s not uncommon for these fears to interact with your ability to control your anxiety but one thing people tend to forget is the statistics show that flying is the safest way to travel and they are actually right. Some people are influenced by the horrible stories they hear on the news. You may not even realize you’re being influenced when you hear news articles about kidnappings, injuries etc until you want to travel and subconsciously associate your trip with worst-case scenarios of what you have heard and anxiety sets in. This is the one that affected me the most. Many people develop a fear of being in a place so far from home because their home is their source of comfort and stress relief. It’s very common to see panic attacks among travelers who associate home with safety because the idea of leaving their home for an extended period of time freaks them out. This equally affects those without an anxiety disorder as well. You may not have travel anxiety before the trip, but you may find yourself developing travel anxiety during your trip. This type of anxiety can be due to any number of issues, which includes the stress of planning and dealing with travel needs, the lack of comfort you have in the process of traveling, the trouble in communicating with others and even just the jetlag and anxiety that comes from going on a really long flight. Now, jet lag from long flights is something many travelers deal with. Trust me I know! There is something I found very useful to help with this. It’s called Jet – Lag Rapid Reset. You can get Jet -Lag Rapid Reset HERE. which often include sweating and shaking, both of these were major recurrent with me, possibly stomach aches, upset stomach, and diarrhea, headaches or shortness of breath. Shortness of breath can leave you gasping for air for a very long time; I still have panic attacks over being in a small area without air movement. I sleep with a fan on every night and feel like I’m being choked if I am in a room with no air movement. You may have mild symptoms or experience panic attacks from this. These can be present as well, both mild and severe. For me, it was definitely on the severe side. This was what made me feel like I was having a heart attack! Knowing these things are great and a major first step but you want to be able to prevent it is the best you can. One thing I’ll mention here is – Don’t self-diagnose your anxiety condition. Make sure you visit your doctor if you feel any anxiety symptoms so as to stay safe. When you start getting anxious, actively visualize the places you want to see and the adventures you are going to have. Think of all the great things you are looking forward to and set your mind on them if possible with your eyes closed. If your anxiety is severe, you don’t have to struggle alone. Your doctor and therapist can work with you to identify your biggest sources of anxiety and develop effective coping strategies. You can also talk to your doctor about which medications would be appropriate. Remember there are many people in your shoes, join a group online or find a person to help you, this is really important. When we get anxious, our breathing goes from deep and slow in our belly to short and fast from our chest. Keep your breathing relaxed by breathing in five seconds through your nose and 10 seconds out of your mouth. Do this several times and it should help. Instead of panicking and being overwhelmed by every patch of the rough air or thoughts that your plane is going to crash, take your mind off whatever is happening by watching a funny movie, listening to relaxing music, or reading your favorite book. I always used to tell people that the turbulence felt in the aircraft is really nothing. It’s amazing how strong the aircraft is and it can handle way more than we think, testing has proved that. You should try and make time to exercise before you head to the airport. 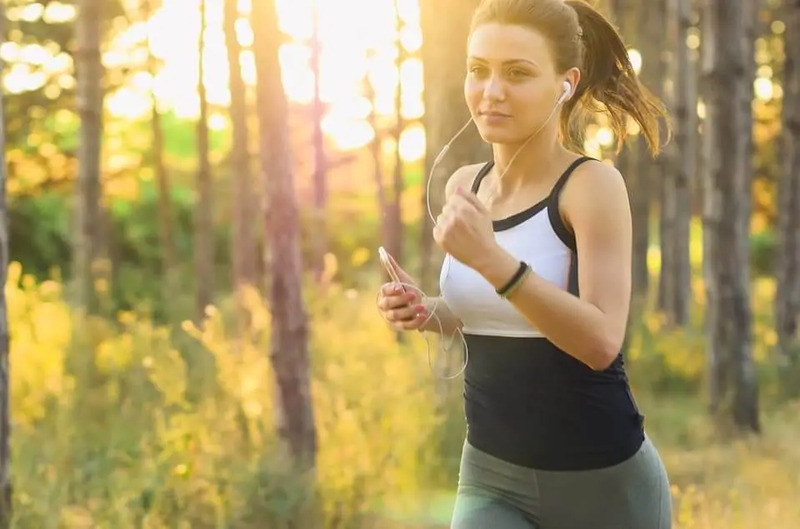 Whether you walk on the treadmill, take a walk around your neighborhood, or do a full workout, exercise can relax your muscles and even distract you from the pre-flight jitters. It’s a good idea to keep yourself busy and active prior to your flight, as sitting and doing nothing can cause a build-up of nervousness and anxiety. Having a travel companion can also make a huge difference, especially if they are experienced travelers. Your companion can be there to provide a feeling of personal security, have a conversation with you, provide encouragement and motivation, and help navigate you through the terminals, security lines, and boarding the plane. It is much easier to avoid travel anxiety when you have someone with you. Alcohol can alter the way your brain reacts. The effects of alcohol are different for everybody and it can potentially worsen your travel anxiety. Always choose coffee, soda, or water instead. I know these are not great alternatives but they are better options for alcohol. Water is the best option because sugary and caffeinated drinks can dehydrate you and cause your energy levels to spike and crash. I mention more travel health tips plus additional info relating to alcohol use in another post. And prepare for that plan to change! Having your travel plans organized and planned out can help with your travel anxiety. The fear of not knowing what to do next will be gone. I found this to be a big help to me because I am a very detailed and organized person and was always on time. Being late drives me crazy! I would always have every detail of the day pre-planned so there were no surprises. But the reality is that no matter how great your planning is, there is a real good possibility that your plan will be changed. So be ready for that with a backup plan. If you prepare for changes, it won’t be as much of a shock because travel changes happen all the time. When I anticipated something different would happen throughout the day, it always helped because I was prepared for it. Indeed it helps and result in less panic and anxiety attacks. Travel Anxiety and Pre Travel Anxiety is a huge concern for many and it sure changed my life. And I really do hope you found this write-up helpful if you are also dealing with travel anxiety. Remember to talk to your doctor, learn as much as you can about travel anxiety and how to prepare yourself for it. Learning how to deal with and treat anxiety will improve your overall health and traveling experience. It is an amazing proven system that has helped over 150,000 people and counting from 32 countries. Taught by Barry McDonagh, best selling author, and coach, this program uses a special 21-7 Technique which is a very unorthodox approach for ending panic and anxiety. This system has been featured on many programs and TV shows for a reason. It simply works. Now in saying that, I don’t want you to be fooled into thinking you can simply read the book in one sitting and get instant results. That will not happen and there are no magic wands. You have to apply what you learn and if you have had anxiety for many years this may take a little longer. But if you apply the information as taught, you will see amazing results! Take advantage of the FREE audio downloads and videos they provide. They also have a FREE book on The #1 Reason Anxiety Treatments Fail. Feel free to check it out anytime. Get the best air travel tips sent straight to your inbox! Join our other readers who receive free travel tips and advice, plus take advantage of promos and freebies only our subscribers can get! * Your info is safe with us. We will never send you spam or share your info with anyone.